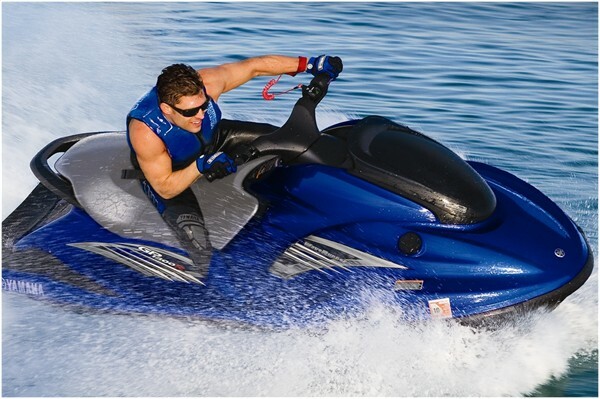 Equipment: jet ski Yamaha GP 1300 R, Zodiac Yachtline Deluxe 4.2 m 50 HP, water skis, wake boards, masks and flippers. 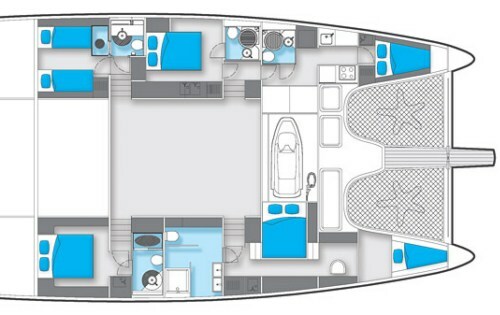 SEAZEN II pioneers a new concept in unabashed luxury uniquely conceived by the Sunreef design team. 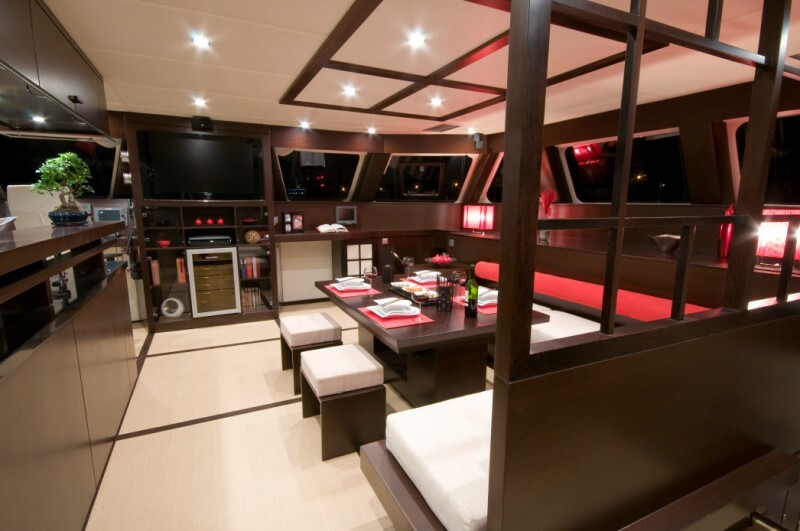 The magnificent 70’ catamaran, launched in 2008, makes a memorable impression on guests who appreciate unparalleled stability, thrilling speed and admirable sea keeping ability without compromise to style and comfort.SEAZEN II has a decidedly Asian ambiance of stylized simplicity and a balanced, organic palette punctuated now and again by a burst of unexpected color. 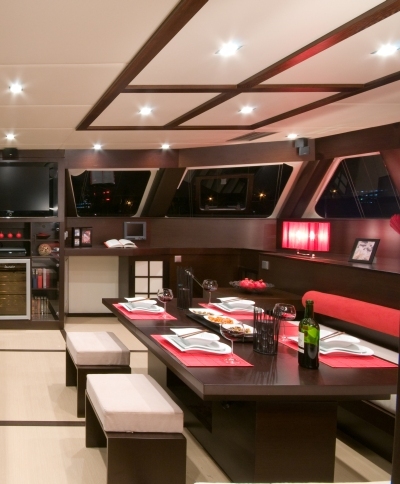 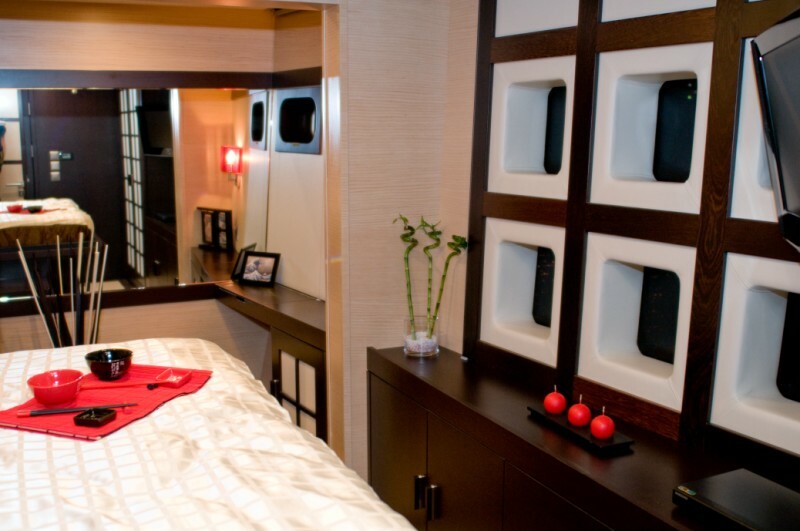 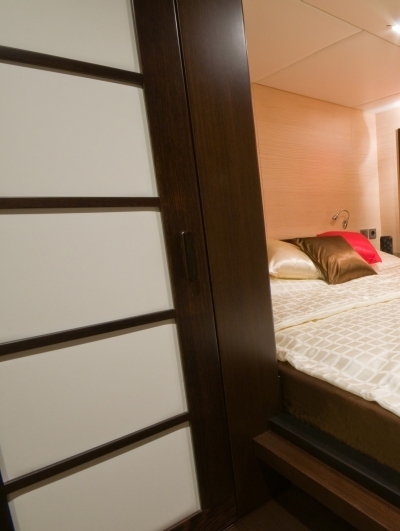 This luxury crewed catamaran features soothing white oak juxtaposed again dark wenge woods, pale floor and ceiling tones and white upholstery is enlivened by crimson bolsters, accent pillows and lighting. 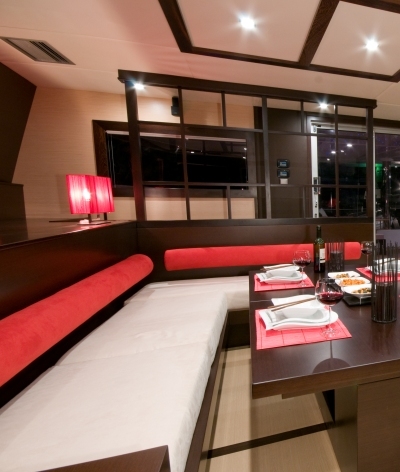 Symmetrical, low slung tables and bar seats are strategically placed to augment the sense of open space and beckon relaxation. 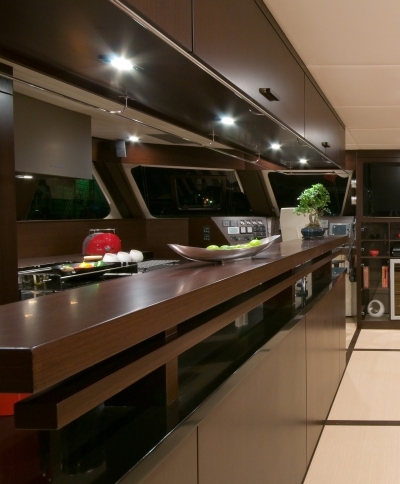 The interior layout is both supremely stylish and suitable for every occasion. 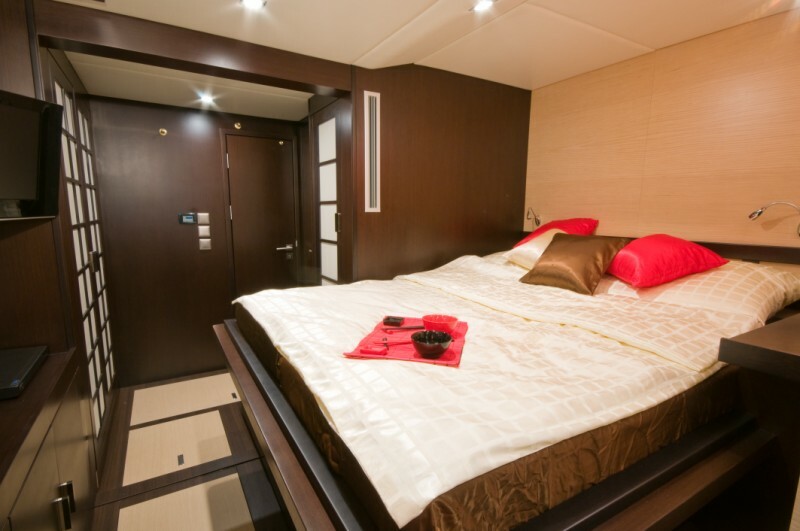 Guests treat themselves to pure serenity on the plush cream sofas and thrill to breathtaking views through the large panoramic windows of the main salon. 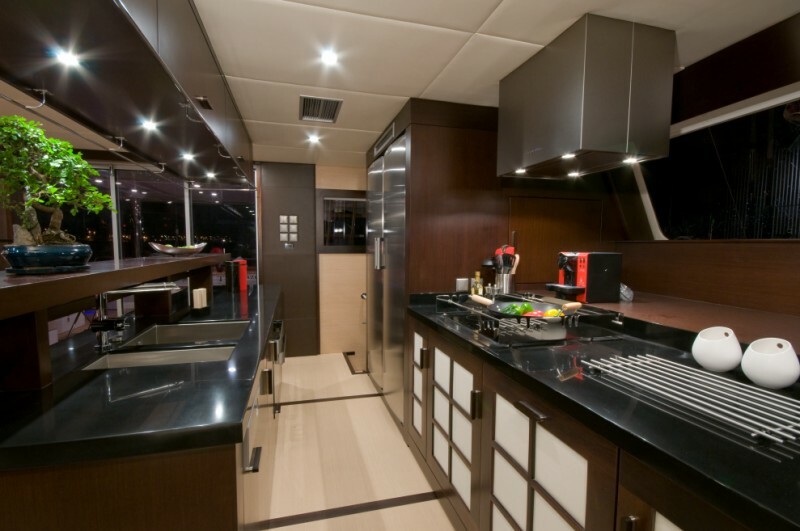 The professionally equipped galley is the nexus of indoor entertainment with freshly prepared, tempting delicacies begging to be sampled. 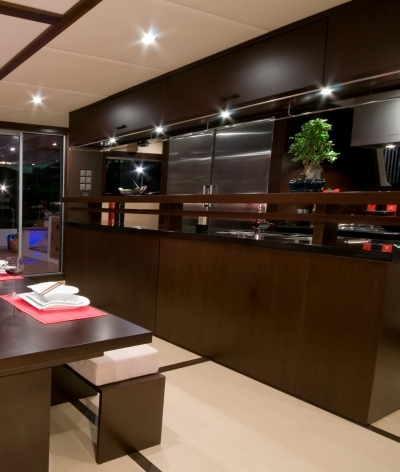 Whether casual or formal dining is the order of the evening, the large custom-designed table has ample space to accommodate a full guest compliment. 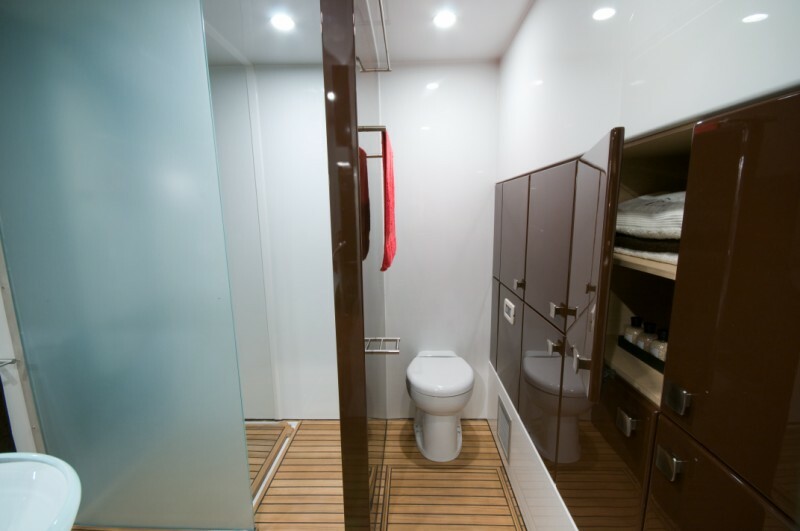 SEAZEN II’s guest cabins are uniquely designed for comfort and convenience. 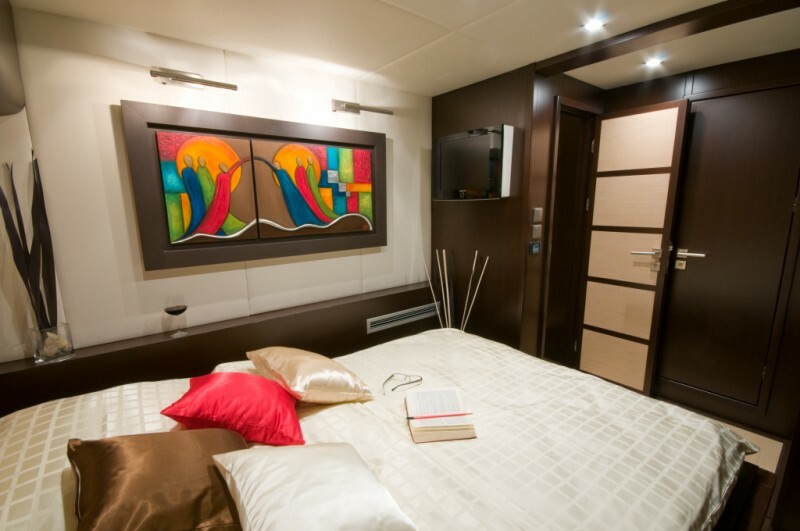 All staterooms have private facilities, feature high quality linens and amenities, and are tastefully decorated with modern furnishings and works of art. 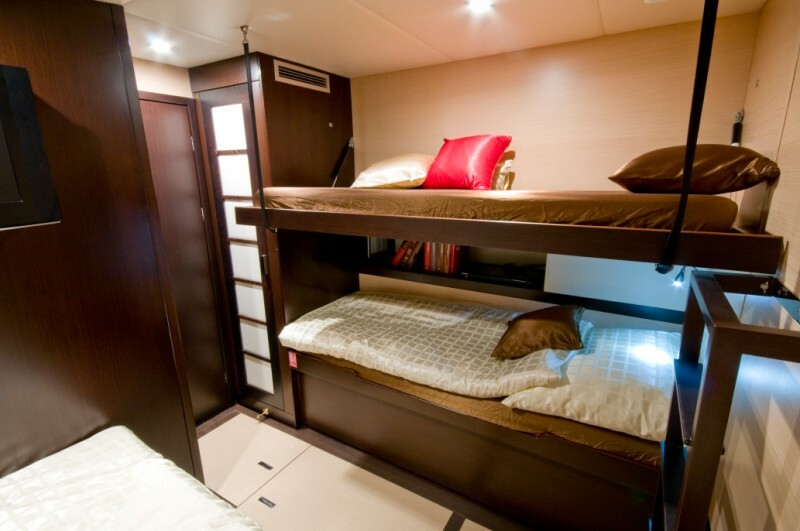 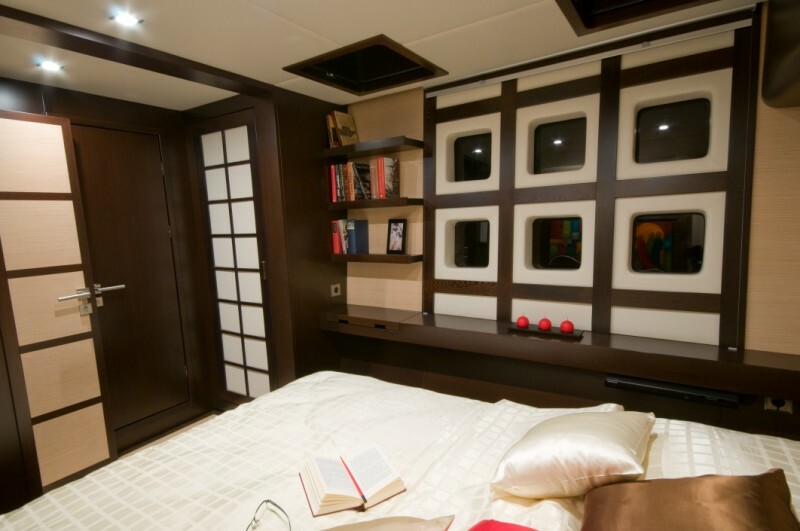 The master cabin has extra leisure space with a library nook and unusually large wardrobe. 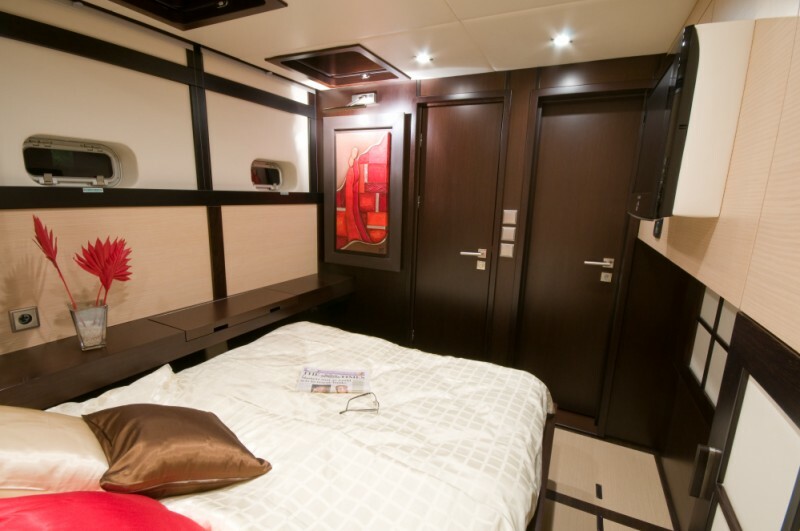 Two equally stunning double cabins are optional for guests as well as an innovatively designed twin cabin with a four bed folding system. 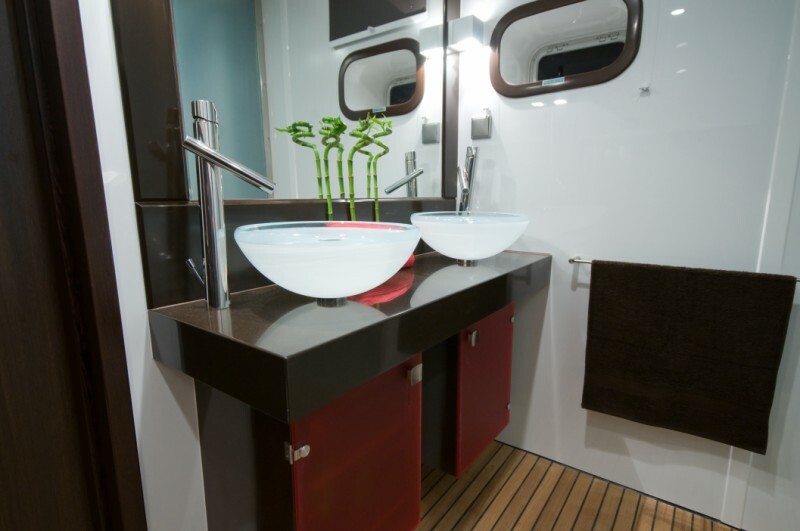 This feature is ideal for small children onboard. 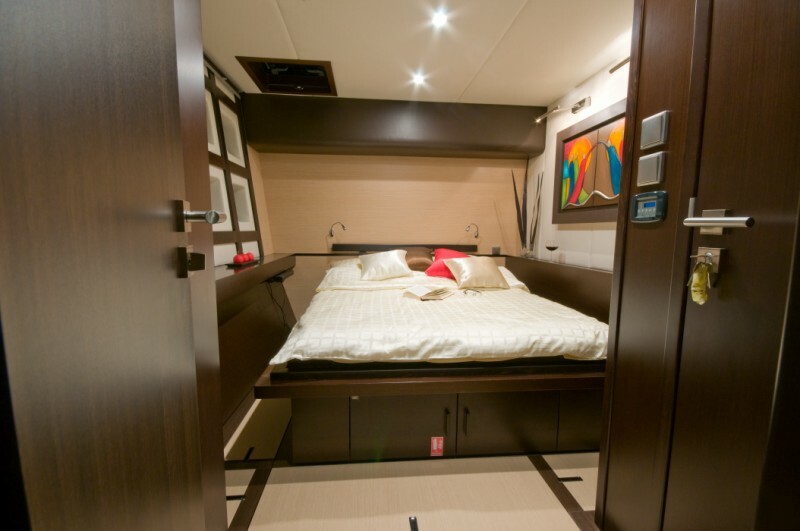 The exterior of charter catamaran SEAZEN II is as charming as her interior, and outdoors is where the real excitement takes place. 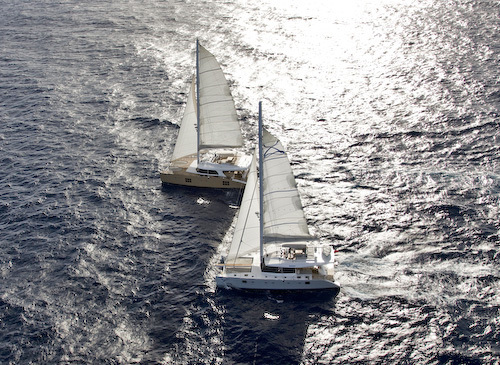 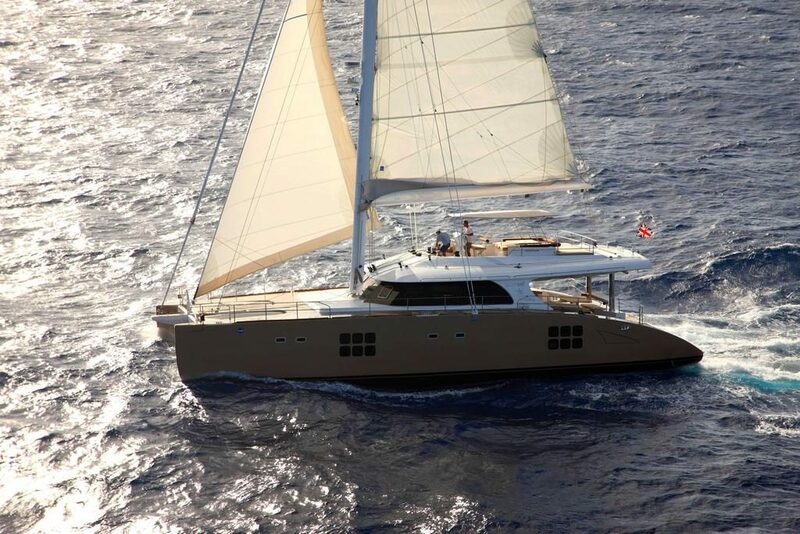 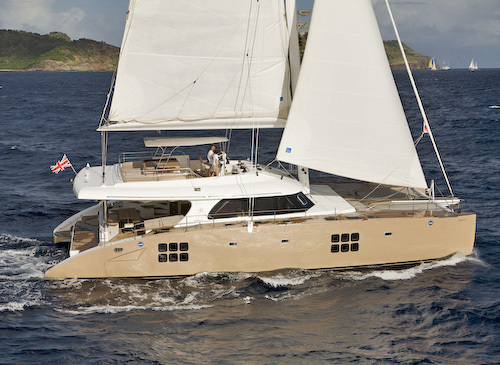 Get ready for a thrilling fast ride on this high performance sailing yacht. 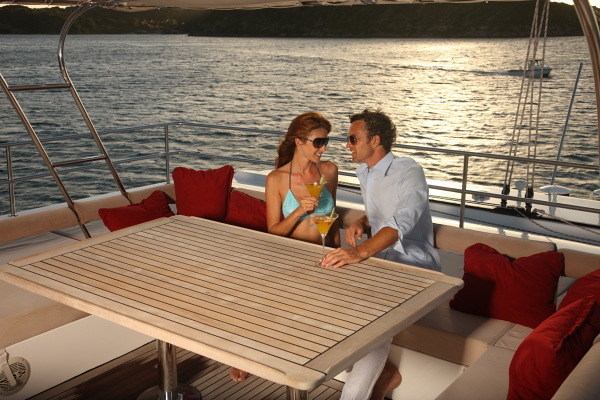 Enjoy the comfort and protection of the aft deck or head into the wind up top on the fly bridge. 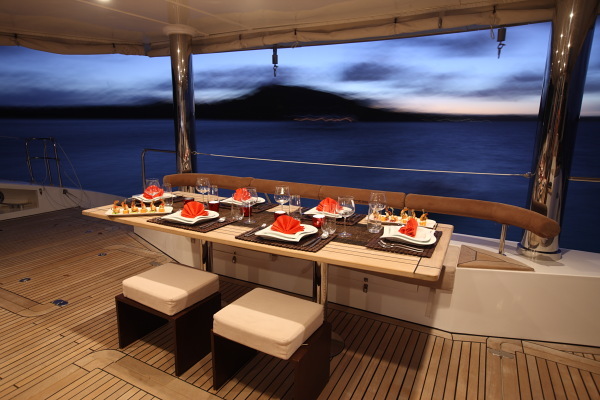 Dine, lounge, or enjoy cocktails and canapés from either of these spots surrounded by breathtaking views of paradise. 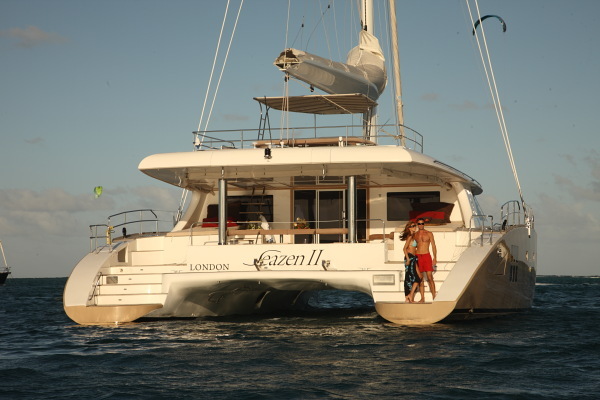 Luxury yacht SEAZEN II carries an array of water toys suitable for everyone, from the very adventurous charter guests to the very laid back. 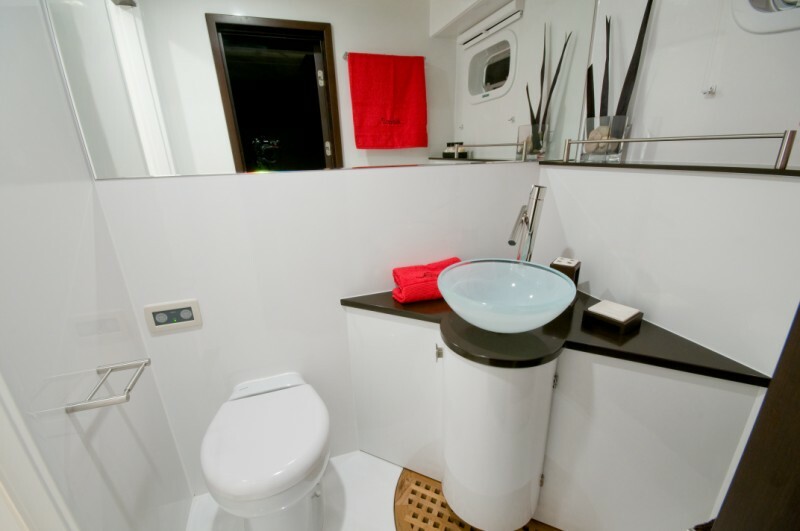 The energetic water sports enthusiast can ride the Yamaha Jet Ski, wake board, and water skis. 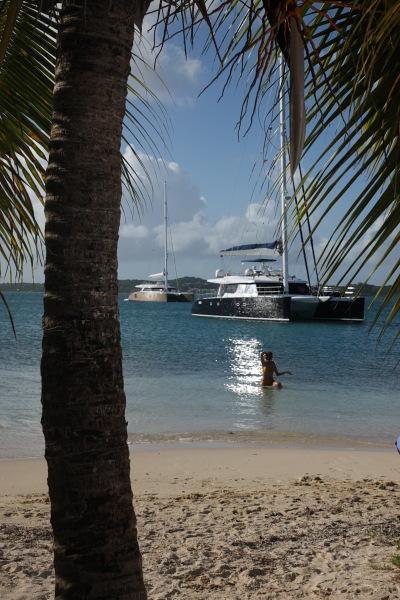 At a slower pace, ride out on the dingy to explore the ocean wonders with the masks and flippers, or to go ashore for a bit of shopping and local color. 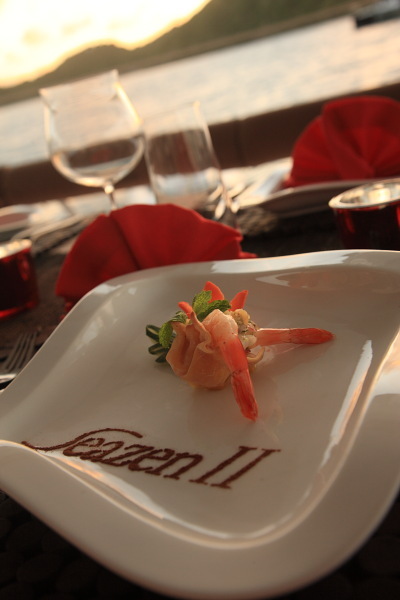 SEAZEN II offers unforgettable crewed charters with a highly professional crew of three that will expertly customize a holiday that meet the requirements of each, individual guest on board to make the charter most memorable.